Apple yesterday announced that Mac OS X Mountain Lion v10.8 will be launched on 25th July 2012 and today they released the final version of Mac OS X Mountain Lion v10.8 . Previously they launched the developer or beta version of Mac OS X Mountain Lion v10.8 as like Windows 8. Where Windows 8 is hot in market and Microsoft confirmed it will be launched 10th October 2012 , Apple launched it before Microsoft. Apple also previously said about this release. 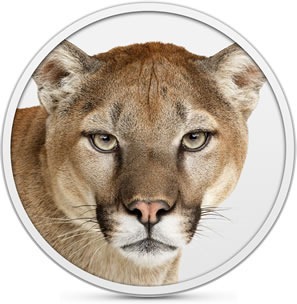 If you are a Mac OS X user then just download the latest and final version of Mac OS X Mountain Lion v10.8 from itune at a price of $19.99 to upgrade from previous version. At this price its a good deal. So just grab this new and awesome all time favorite OS Mac OS X.